A marvel of conciseness, John J. Collins' Short Introduction to the Hebrew Bible is quickly becoming one of the most popular introductory textbooks in colleges and universy classrooms. Here the erudition of Collins' renowned Introduction to the Hebrew Bible is combined with even more student-friendly features, including charts, maps, photographs, chapter summaries, illuminating vignettes, and bibliographies for further reading. The second edition has been carefully revised to take the latest scholarly developments into account. A dedicated website includes test banks and classroom resources for the busy instructor. 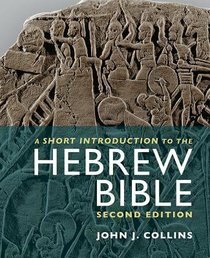 About "A Short Introduction to the Hebrew Bible (Second Edition)"
John J. Collins (Ph.D.,Harvard University) is Holmes Professor of Old Testament Criticism and Interpretation at Yale Divinity School. He has authored or edited thirty books, including Introduction to the Hebrew Bible, Daniel (Hermeneia Commentary Series), and The Scepter and the Star: The Messiahs of the Dead Sea Scrolls and Other Ancient Literature. He has served as president of the Catholic Biblical Association, president of the Society of Biblical Literature, and editor of the Journal of Biblical Literature. Preface; Introduction; Part 1: The Torah/pentateuch; Part 2: The Deuteronomistic History; Part 3: Prophecy; Part 4: The Writings; Glossary; Indexes.